The Maddie earrings are both classic and modern by design. 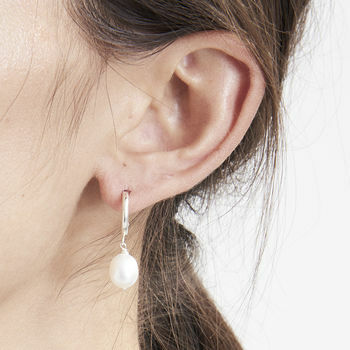 A thoroughly modern way to wear pearls. The simplicity and elegance of the Maddie earrings makes them suitable for everyday and any occasion. An ideal gift and available in gold too. Please note the ear fitting for the gold is slightly different. The silver are c-shaped hoops with a butterfly back. The gold are simple sleeper hoops with the wire piece that goes through the ear on a lever. (Image of the gold coming soon). 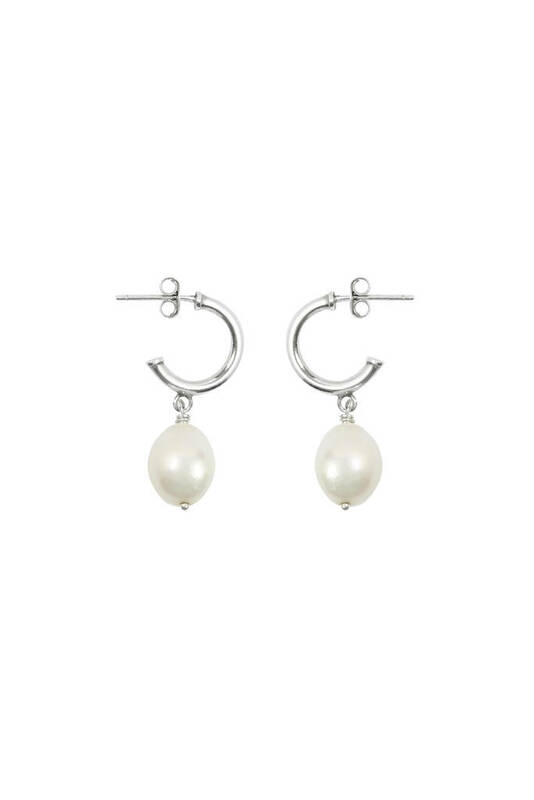 Made from sterling silver OR 18k gold plated sterling silver with large rice pearls.